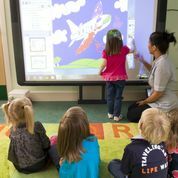 This month Kids 1st Nurseries have invested in new interactive whiteboards for our nine pre-school units. 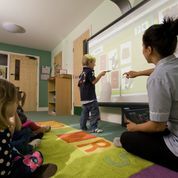 We have installed the new technology as a teaching aid to support the children’s readiness for school; an important aspect of the revised Early Years Foundation Stage (EYFS). 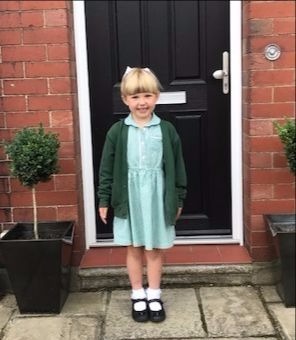 The children are fully supervised and supported throughout each session to ensure that they are given the opportunity to explore the potential of the whiteboards and to help them find the information they are looking for. Staff are able to access news, pictures and stories via the Internet and these are used to encourage the children’s awareness of current affairs and the world around them.